Picking the right cosmetics for hair care is almost impossible without defining hair porosity. The most preferable method of restoring good hair condition is application of oils (oil hair treatment). Although it is easy to make low porosity hair flat by loading it with the excessive amounts of oils, this kind of a treatment is expected to produce amazing results. The most preferable oils are palm oil, coconut oil, argan oil, Shea butter, and coca butter. High porosity hair requires short hair oil treatment and, at the same time, massive nourishment. This kind of hair will be grateful if relieved by avocado oil, jojoba oil, macadamia oil, evening primrose oil, and sweet almond oil. The structure of medium porosity hair is similar to low and high porosity hair, therefore, it can be treated by any oil. Oil Hair Treatment for Beginners. If you are new to oil hair treatment, then it worth getting to know a few basic information connected with this kind of hair care. But first, try to define type of the hair together with its porosity. What is more, check also whether a particular oil has the features that help with restoring good condition of your hair. There is no better technique of improving hair condition than undergoing oil hair treatments. It is believed that cosmetic oils and even some cooking oils work better than dietary supplements, hair masks, shampoos, and other washing cosmetics. In general, hair oil treatment depends on putting an oil on scalp and hair. The amount and kind of oil applied should go hand in hand with the angle of hair cuticles deflection. Other factors that have to be taken into account while conducting hair oil treatment are: type of scalp, the fact if hair oil treatment has been conducted before as well as kind of cosmetics that are and were used for hair care. 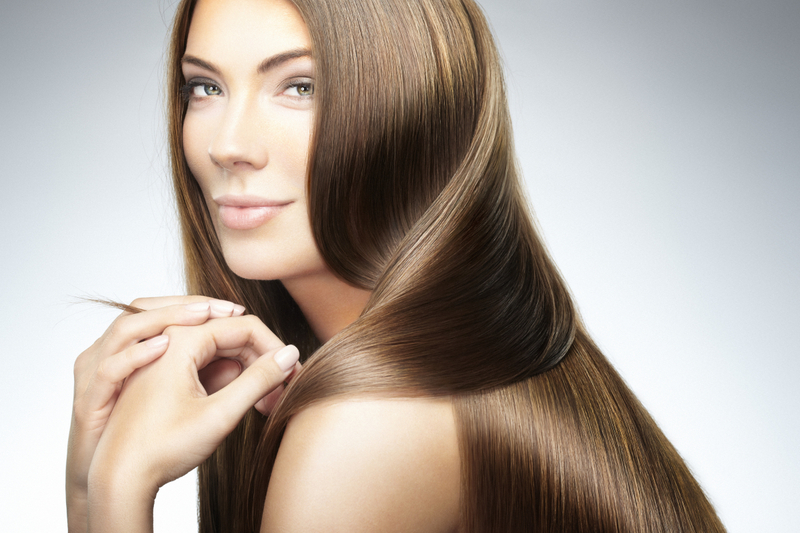 What are the benefits generated by oil hair treatment? Definitely, this kind of procedure prevents ends from splitting and hair from electrifying, becoming frizzy, falling out, breaking, and greying. What is more, such a treatment gifts hair with pretty and healthy shine. Hair becomes smooth again as sebum production is reduced. In most cases, oil hair treatment facilitates dandruff elimination. Basically, there is no greater difference whether oil is applied on wet hair (right after washing) or on dry hair (before hair washing). However, when it comes to after hair washing technique, one has to remember to apply only small amount of this natural product. Otherwise, hair will look greasy. It is worth pointing out that more oil can be rubbed into hair ends, since they are more dehydrated than the other parts of the strands. If one prefers before hair washing technique better, then the amount of the oil applied can be greater. In fact, the more oil, the better. It is going to be rinsed with shampoo after all. What are the basic rules of oil hair treatment? Let us start from stating that some oils have solid form – they resemble candles. If you want to make the oil more elastic, warm it up a little bit, even on a palm of the hand. Remember though, it is not advisable to boil oil or to make it hot. When the oil is ready to be applied, separate the hair into smaller sections and coat each of the strands with the oil. Thanks to this technique, you will cover all hair evenly as the application itself will be easier and faster. Do not apply big amounts of oil. If you decide that your hair needs more of this natural cosmetic, then feel free to apply another dosage. However, be aware of the fact that the more oil you put on hair, the more difficult it will get to remove. What is more, it is suggested giving massage to the scalp while conducting oil hair treatment. Suffice to press the fingertips against the scalp a little bit harder than during regular hair washing. In this way, you are going to relax, boost blood circulation, and accelerate hair growth. The truth is, you can keep the oil on your hair even for 24 hours. Try also to be systematic and conduct oil hair treatment at least once a week. Your hair will be grateful!